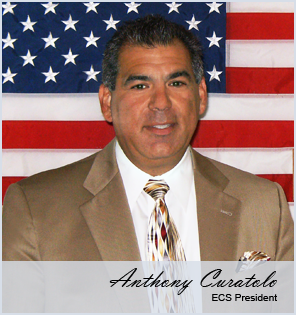 I'm Anthony Curatolo, President and CEO of ECS. I'd like to personally thank you for taking the time to visit our web site. Over the past few years ECS has built a reputation that is second to none among information technology providers. Through hard work, dedication, and unmatched professionalism, ECS has grown over 1300% since its inception in 1994 and with foreseeable future growth. Technology is complex and relentless. In order for any business to flourish one needs the prowess and tenacity that is so vital in today's markets. ECS can help by providing solutions to keep your business in the forefront of technology and on the cutting edge of your industry. Why has ECS experienced phenomenal growth? Why is our reputation second to none among information solutions providers? Why should your business consider ECS? The answer is simple.